Meanwell SMPS we are the importer, distributor, dealer inIndia andMeanwellSMPS INDIAis one of our core product in our distributed brands, Mean wellSMPS consists ofswitch mode power supply, SMPS-Power Supply, Led Driver,Rainproof Power SupplyDC-DCConverter, ac-dcconverter,smps, Bangalore LEDDrivers,LED street light drivers, LED strip light drivers,Meanwell smps hasdifferenttypes of series in both smps and led drivers. 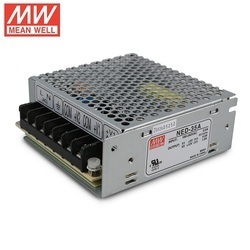 Mean well smps hasseries like NES, RS, SE, SCP, SCN, RSP, RCP, NED, T-120, NET, RT, DR, DRP, WDR, SDR, DRT ETC, meanwell LED driver PLP, PLN, HLG, HVG, HVGC, HLN, APV, APC, LPP, LPV, CEN, CLG, OWA etc IN INDIA. Meanwellsmps weare dealing wide range of products in it & supporting the customers in better aspects all overIndia. MeanwellSMPS Bangalore. Our major customers are presented in all over India. MeanwellIndia. We are coveringMeanwell Smps Chennai, Meanwell Smps Coimbatore, Meanwell Smps Mangalore, Kochi,MeanwellUdupi, meanwell Trivandrum, Hyderabad, Meanwell India, meanwellSMPSMumbai, smpsPune, smps Goa, Ludhiana, smps Chandigarh, Jalandhar meanwell in Bangalore,Meanwell Rainproof Power Supply chennai,Noida,meanwell New Delhi,Meanwell Delhi, Baroda, Nashik, Chandigarh, Baroda, meanwell Tamilnadu,Meanwell Gujarat, Surat,Ahmadabad,Maharashtra, Kolkata, Mysore, meanwell Faridabad, Ghaziabad, Westbengal, Rajkot etc. Meanwell SMPS we are theauthorizeddealers,distributorsfor all overIndia. With desire to cement our reputation in the market, we are engaged in offering an excellent range of DC Power Supply. It is used in several industrial requirements were and all dc voltage is needed. Keeping in mind current market development, this power supply is manufactured by our vendor’s qualified professionals employing premium quality raw-material and modernize tools. Apart from this, our quality experts perform a series of test on the entire range ensuring its flawlessness. 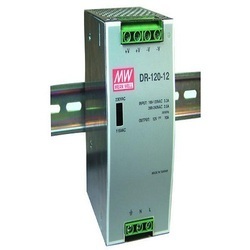 We are among the acclaimed firms, engaged in offering high qualitative Din Rail Mount SMPS that is used in industrial machines for DC power supply. This SMPS is precisely manufactured using topmost grade raw-material and the latest technology in tandem with set industrial norms. According to the specific clients' requirements, this SMPS is made available in various specifications. Clients can avail the entire range from us at affordable price. Backed with leading–edge technology and experienced professionals, we are offering an extensive range of Meanwell Switch Mode Power Supply. This power supply is manufactured using optimum grade raw material and cutting edge technology in synchronization with set industry norms of quality. Offered power supply is used in diverse electronic devices. Apart from this, this power supply is extensively demanded in the market for indispensable features. Clients can avail the entire range from us at affordable price. Multiple output power supply we are importer, supplier,dealer of meanwell in india. we have different types of smps, dual output smps, triple output smps, quad output smps, according to the customer requirements we have several models.these smps are enough to do a job were more smps needed. with this multi output smps u can do operation of 5v, 12v, 24v from one smps. 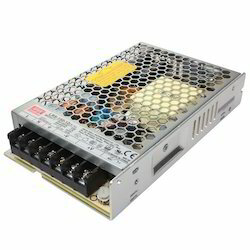 We are dealing wide range of Meanwell products like multiple output SMPS, LED Driver, DC-DC Converters,LED power supply, switch mode power supply, DC power supply, LED smps to all over India. Our major customers are presented in Northindia & South India. We are covering the following cities like multiple output smps in meanwell SMPS Chennai, Madurai,meanwell Coimbatore, Pondicherry, Meanwell smps Bangalore, Hubli, Hyderabad, Vizag, Multi output power supply Mumbai, Biwadi, Meanwell power supply Delhi, Meanwell Pune, Noida, Haryana, dc power supply Faridabad, Ghaziabad, Gujarat, Baddi, Indore, Surat,SMPS Ahmedabad, Vadodara, Vapi,dc power supply Maharashtra, Kolkata, Westbengal, Udaipur, Jaipur, Punjab, Silvassa, Ludhiana, Kashmir, Goa, Jharkhand, power supply chhattisgarh, jalandhar, Odisha, etc. Multiple output power supply model no. : NET-35A/B/C, NET-50A/B/C, NET-75A/B/C, RD-35A,RD-50B,RD-65A, RD-125A RD-125B,RD-125-1224, RD-125-2412 etc. MEANWELL INDIA has a separate products for the medical smps applications in india, meanwell medical smps distributor is sree dhanam automation pvt ltd chennai tamilnadu india. meanwell MEDICAL SMPS SERIES are medical smps has enclosed type open type power supply like NFM, MPS,RPS, PM, RPD, RPT, MPD, MPT etc. These smps are special application power supply, for the pharma medical applications, pharma machineries, medical equipments mfrs, etc. 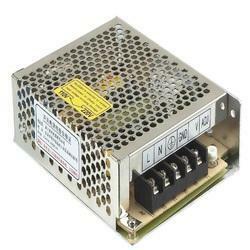 Being a well established organization, we bring forth an excellent assortment of LRS Power Supply - MEANWELL. It has a standard voltage output models i.e. 5vdc, 12vdc, 24vdc, 48vdc. Our provided power supply is manufactured by our vendor’s skilled professionals utilizing quality approved raw material and advanced technology. Our offered power supply is widely appreciated by our prestigious clients for its precise design and easy installation. This power supply can also be availed in various sizes, designs and other related specifications. Medical power supply in meanwell we are the importers, dealers, distributors, suppliers in india. nowadays pharmaceutical industry is growing in indian market due to new invention and different kinds of MNC comes to capture the indian market,we have medically approved power supply in our range we are supplying in our meanwell brand.compact version medical power supply, redundant power supply, open type easy to install any type of lab instruments and medical equipments, we also dealing wide range of power supply in MEANWELL other products like SMPS, LED Drivers, power supply, switch mode power supply, LED SMPS for all over India.